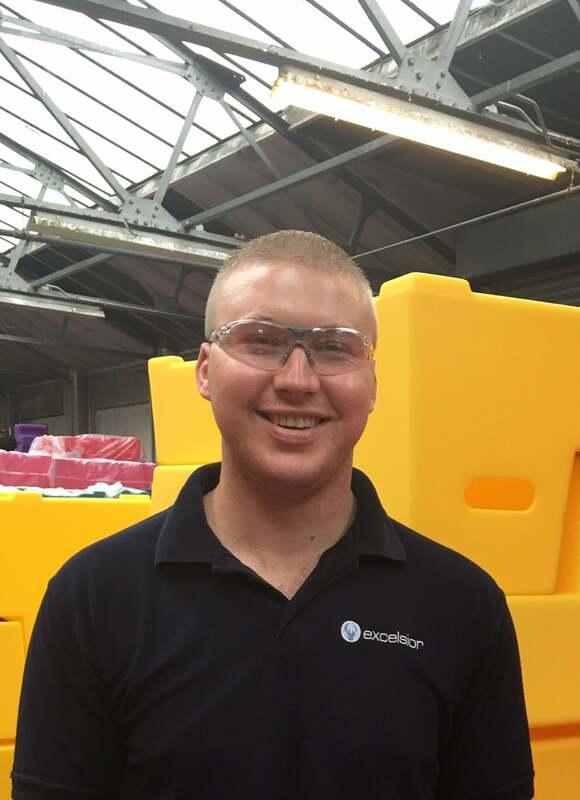 We spoke to Excelsior staff member Lewis to discover what life is like for our Production Supervisor. 1. As Production Supervisor at Excelsior, what is a normal day for you? My day-to-day role is to ensure all the products we make are made to the correct quality and quantity as required by our customers. I work closely with the machine operators to help resolve any issues that may occur. 2. How long have you worked for Excelsior? For seven years now since the age of 18. I used to work as a driver’s mate making furniture deliveries around the Greater Manchester area. 4. How did you get in to the plastics industry? I was employed here at Excelsior through a government funded scheme where a small percentage of my wage was paid by the government to try and encourage companies to employ people who were out of work. There wasn’t actually a position going at the time when I applied but the scheme tilted the scales in my favour and the company took a chance on me and here I am still, seven years down the line. 5. What’s the most challenging/rewarding part of your role? The most challenging aspect of my job is dealing with personnel issues as it’s something I’ve never had to do before. However, the company is helping by giving me training so I’m sure I’ll have no problem with it shortly. The most rewarding part of my role, apart from learning the new skills that go with the position, is seeing a job through from start to finish and it is always great when we get good feedback from a customer. 6. What do you like best about working for Excelsior? It’s the workforce that does it for me. Everyone gets on and is really friendly with each other which creates a great atmosphere to work in. 7. Why do you think customers choose Excelsior? Easy, because we are an excellent firm who make quality products and we care about our customers.